We specialize in Rack mount Chassis and Rack Drawer displays. All out displays can be ruggedized and come with plenty of additional options all at an affordable price to meet any budget. All our rackmount chassis and rack mount displays can be made sunlight readable and high bright. DIT is an acronym for Display Integration Technologies. This division was developed under our parent company 2s2, Inc’s Electro Mechanical Assembly (EMA) division to provide OEM and Custom Display Products. 2s2’s leadership in the Manufacturing and Design industry has led us to innovative and unique Products. Our 3-D Solid Modeling, Rapid Prototyping and our keen sense in the Design For Manufacturability field has set us a part from our competitors and given us the ability to reduce our time to Market. DIT has been on the forefront of developing unique and robust LCD solutions for our customers. 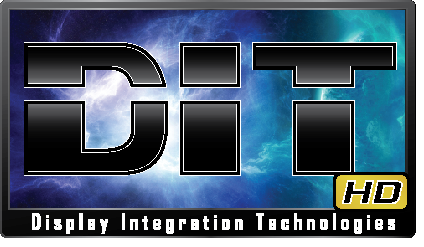 DIT’s strength is designing, testing, and manufacturing LCD drawers and integrated products for use in the PC / Server, US Military, Medical, Video, Music and Advertising Industries. DIT’s Development and Design Division can quickly, efficiently, and cost-effectively custom-tailor a solution to meet specific industry requirements. DIT’s rigorous quality assurance process enables customers to use their systems with confidence.